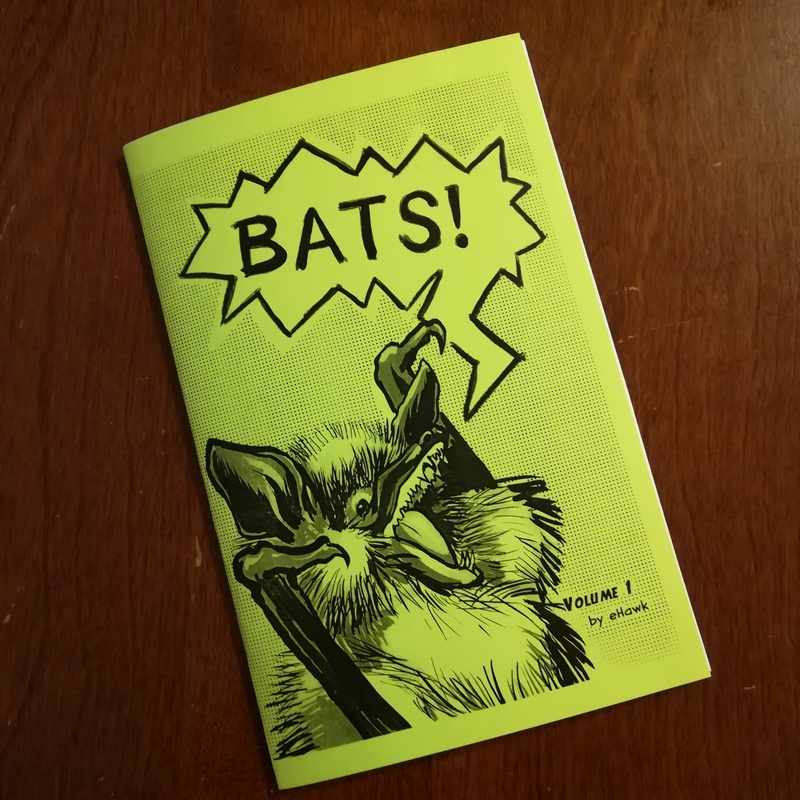 This is an 8.5"x5.5" comic all about bats! 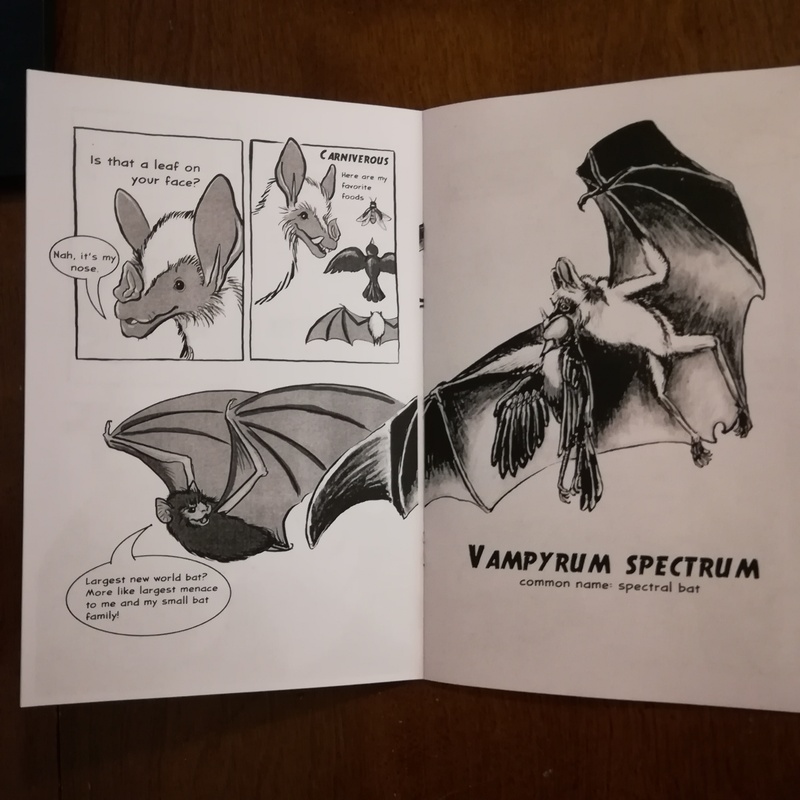 You'll learn about several interesting bat species, and have an idea what it means to be a microbat! 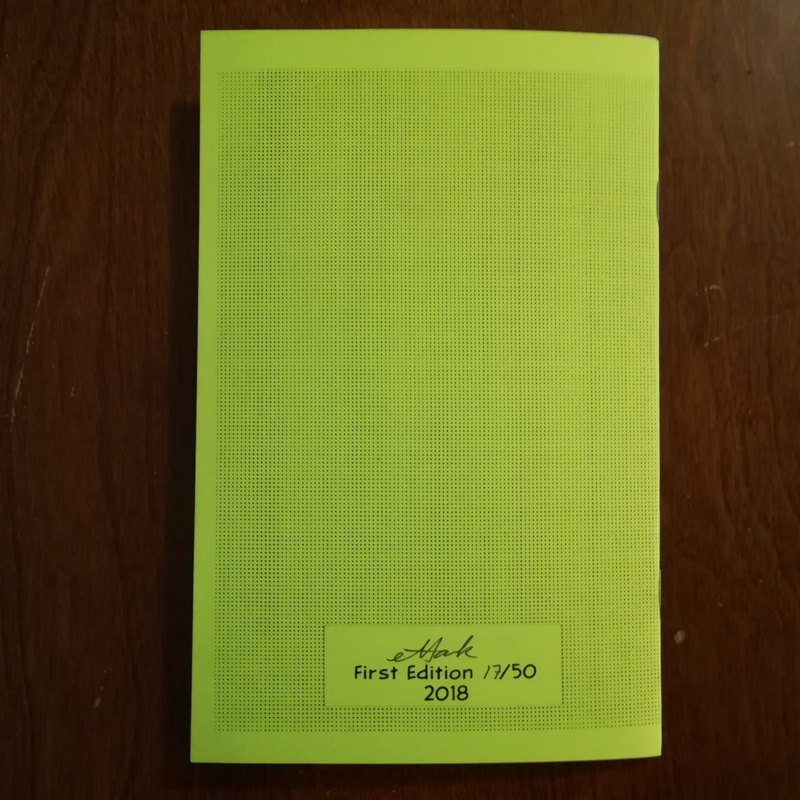 You'll learn scientific names, common names, and various bat facts.